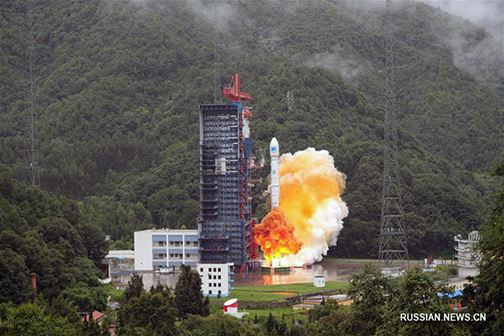 China's Centispace-1 smallsat being launched by a Kuaizhou-1A solid-fueled rocket. Image is courtesy of Russian.News.CN. Commercial space company Expace sent an experimental satellite into orbit via a Kuaizhou-1A launch vehicle on September 29 — this marks China's 26th orbital launch of 2018. Aboard the rocket was the Centispace-1-S1 smallsat which, according to a press release, is a pilot satellite for an LEO navigation and positioning enhancement system that is under development by Beijing Future Navigation Technology Co., Ltd.. The satellite was developed by the Institute of Micro-satellite Innovation under the Chinese Academy of Sciences (CAS). 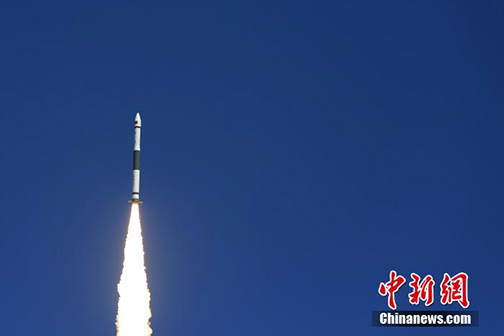 Saturday's launch was the 26th of the year for China and the first not performed by the China Aerospace Science and Technology Corporation (CASC), the main contractor for the Chinese space programme. Expace was jointly established in February of 2016 by China Aerospace Science and Industry Corporation (CASIC), a state-owned defense contractor and major missile maker, and the China Sanjiang Space Group, making the company only nominally private. The Kuaizhou-1A was originally developed under CASIC and derived from missile technology. A second Kuaizhou-1A launch is expected by the end of the year from Jiuquan, with six further launches scheduled - including one for a foreign client - for 2019. The launch of the Expace Kuaizhou-1A rocket from China's Jiuquan Satellite Launch Centre on September 29, 2018. Photo is courtesy of CNS. Beijing-based startup Landspace on September 27 sent the Zhuque-1 (Vermillion bird-1) three-stage solid rocket from a facility in Xi'an, situated in the north of China, to the Jiuquan Satellite Launch Centre. Zhuque-1 will be the first attempt of a privately-developed Chinese rocket to maneuver to orbit and will mark a significant moment for the commercial space sector in China.